Okay so in my post for Orange Pumpkin Bread I wrote about growing tired of fall spices. But I was recently inspired! I made gluten free muffins for a friend's wedding shower at work. There is another teacher at our school who has Celiac Disease and the staff are all so knowledgeable and supportive of our gluten free escapades. My goal was a muffin that tasted delicious, slightly indulgent and would make people say, "I had no idea this was gluten free!" For a crowd pleaser, my inspiration was cinnamon swirl muffins, who doesn't love that? 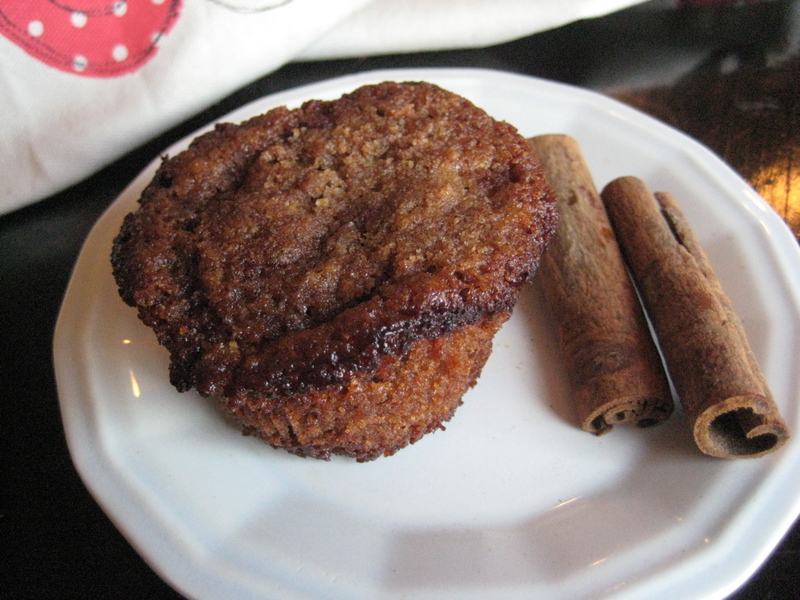 Comfy Belly's Cinnamon Bun Muffins look delicious. Like a cinnamon coffee cake, she layers a cinnamon topping in the middle of each muffin. My recipe is a bit different. I was tired at the end of a long day and accidentally added cinnamon to the batter (instead of just using it in the topping), so the recipe morphed from there. Don't worry if the glaze finds its way to other parts of the muffin tin. The excess came off very easily right out of the oven, or let it harden and you have a few extra crunchy bits for yourself. To make the cinnamon glaze, melt the butter, honey and cinnamon together on the stove top or in the microwave. Mix well. Using a Tablespoon, spoon one tablespoon of glaze over each scoop of batter. The glaze will cover the top and then fall around the sides. Be careful not to let the glaze over flow the edges. Bake the cakes 20-25 minutes until the tops are golden brown and the center is just cooked.